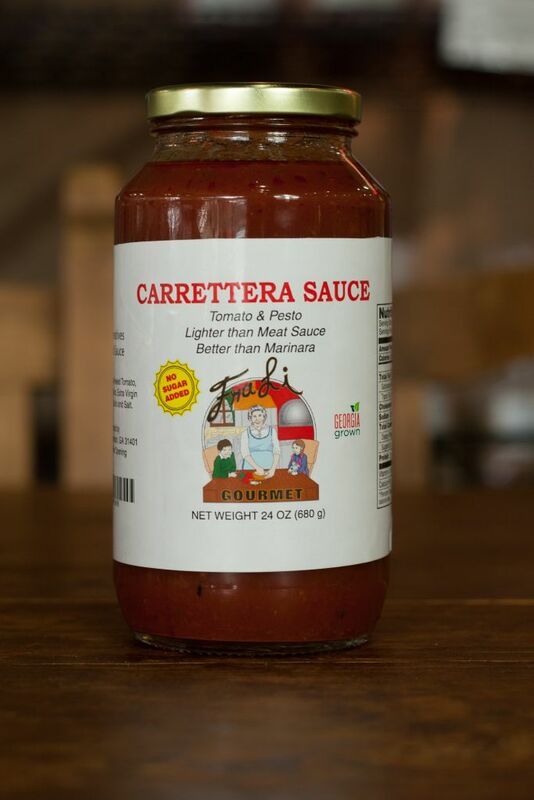 Our Carreterra 24 oz sauce is a blend of fresh basil pesto, pine nuts, olive oil, soybean oil, and tomato sauce. It’s great with pasta or as pizza also makes a great pan starter sauce. Our sauce is sugar free and has no additives or preservatives.